in the registry of Lichterfelde cemetary, a district of Berlin. His grave is gone, his house is gone. 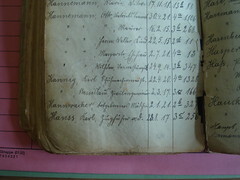 Only this book is still a living memory that he once lived and died in Lichterfelde. + 2 march 1917... RIP.